The World’s Highlands provide inspiration and innovation for lessons in how to balance the relationship between humans and nature. 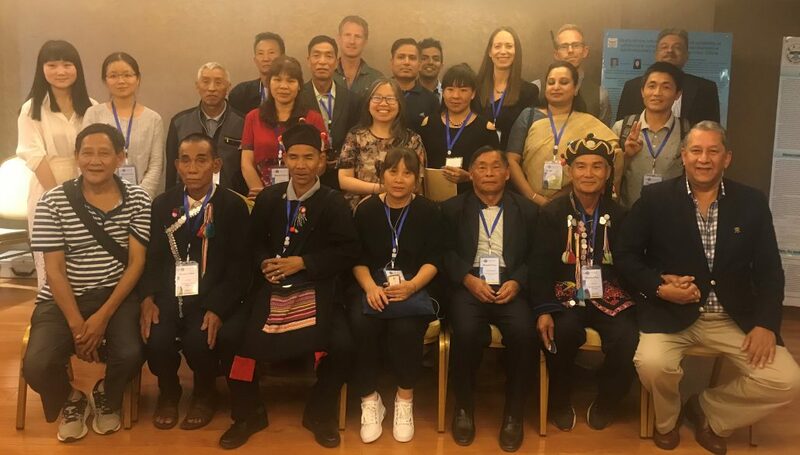 In pursuit of seeking local innovations for resilient livelihoods in mountain regions worldwide, the Balipara Foundation team, Assam as a partner organisation attended the second Mountain Futures conference organised by the Kunming Institute of Botany in Kunming China on June 6 and 7. The conference was attended by participants from over 30 countries spanning all continents of the world. With dialogue on themes of Ecosystem Rhythms: Understanding Change, Land Systems: Managing Complexity and Enhancing Livelihoods: Role of Gender and Local Institutions. Balipara Foundation team comprising of Ranjit Barthakur, Founder Trustee, Prabir Banerjea, Managing Member, Saurav Malhotra, Designer, Rural Futures and Arita Kashyap, Eco-Designer, Naturenomics™ Bazaar presented the concepts of Rural Futures, eco-tourism and livelihood enhancements through handlooms and handicrafts. The platform provided some good insights on the ancient Chinese silk weaving craft and the scientific innovation available in the country. Arita’s participation was critical to learn about best practices and technological up-gradation for globalization of Assam’s Muga Silk. The conference took place against the backdrop of the famous Hani rice terraces in Honghe, a UNESCO World Heritage site and the rapidly growing city Kunming, and gave participants the opportunity to shape the future of the Mountain Futures Initiative and to share knowledge and ideas with a range of researchers and representatives from mountain regions around the world. This was preceded by field visits to the mountainous regions of Yunnan district to understand Hani people, the cultural landscape, integrated four-fold farming practices, livelihood generation and local challenges of the mountain communities. The resilient land management system of the cascading rice terraces demonstrates extraordinary harmony between people and their environment, both visually and ecologically, based on exceptional and long-standing social and religious structures. Building on the success of Mountain Futures and Balipara Foundation’s launch of Rural Futures at the Eastern Himalayan Naturenomics™ Forum, 2017, in Assam, the Institutions aim to create impact in community conservation in the Eastern Himalayas through merging the two concepts and by establishing a Secretariat in Yunnan, resulting in an Indo-China partnership in conservation. “Conversations on the merger are still in its nascent stage but we are working towards articulating the finer details and announcing the formal partnership at our annual event, the Eastern Himalayan Naturenomics™ Forum, 2018 to be held on November 1 and 2 later this year” said a spokesperson of Balipara Foundation.